Susan Perez takes care of children for a living. Sometimes she walks around her neighborhood and cleans up needles. 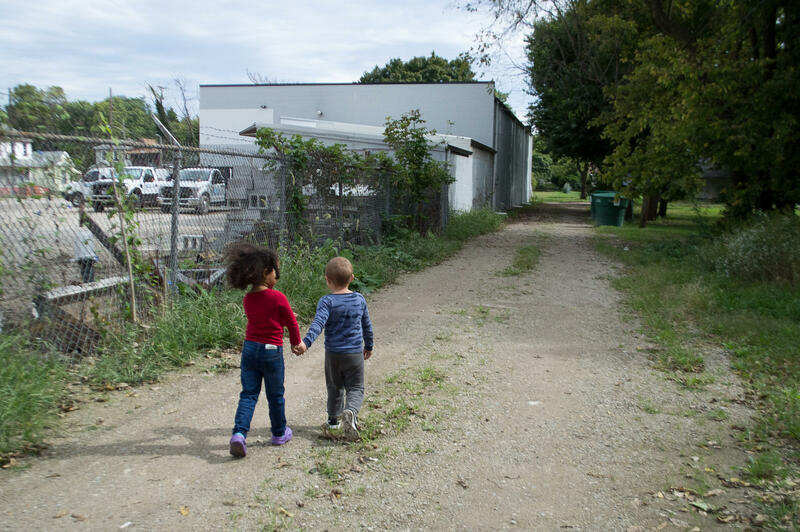 Susan Perez walks down Scott Street in Franklinton with a baby on her hip and two toddlers following close behind. “It's a drug house right now,” she says gesturing at a boarded up house a few doors down from hers. There’s a hole where the back door should be. 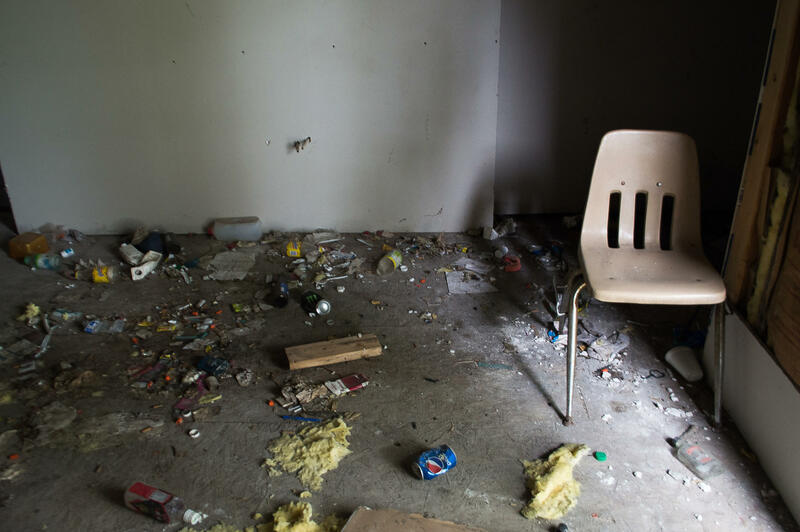 Inside, a faded yellow plastic school chair is surrounded by used syringes, bottle caps and needles. 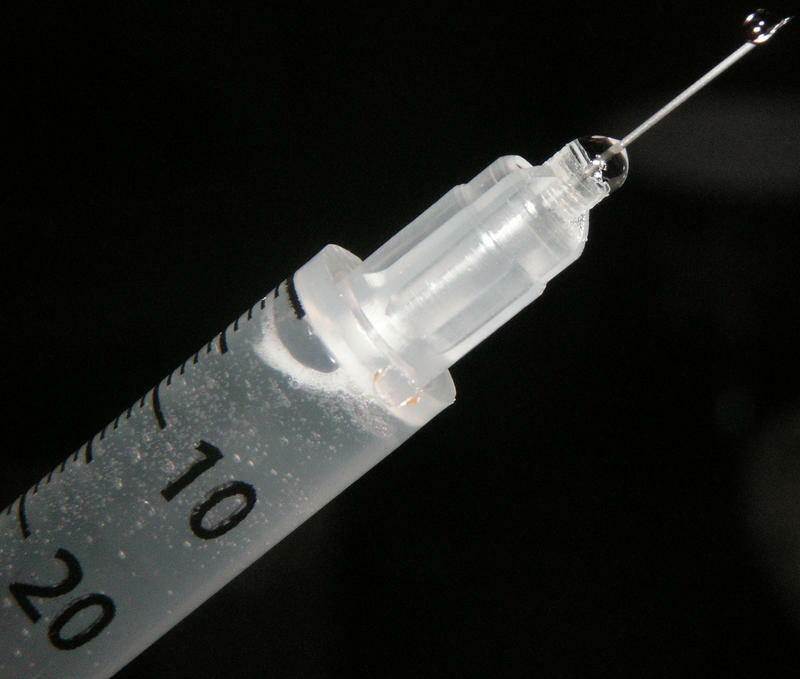 Every day, 4,300 people use injectable drugs in Columbus, according to the public health department. Only one program in the city helps those people get clean needles: Safe Point. The program’s goal is to help reduce the spread of diseases like HIV of Hepatitis C.
For the last two years, Safe Point has been a needle access program: People didn’t have to bring in used needles to get clean ones. In its first year, it handed out more than 900,000 needles. Last year, it handed out more than 1 million. “We were hearing from our community that they felt like a lot of the excess needles they saw in our community were all coming from Safe Point,” says Dr. Mysheika Roberts, the city’s health commissioner. 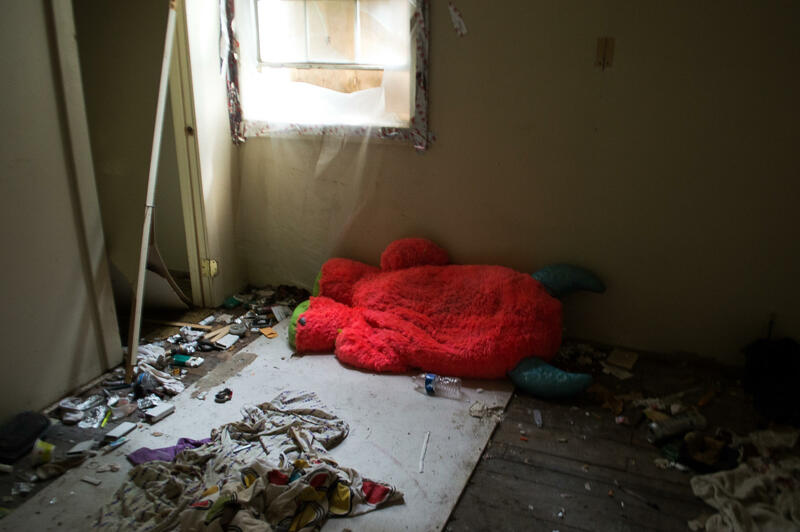 A bedroom set up inside a vacant house on Scott Street, littered with syringes. Columbus gives $50,000 a year to Safe Point, but the money cannot be used for the purchase of needles. Starting October 1, the city's funding comes with a new stipulation — Safe Point will be a syringe exchange program, instead of a syringe access program. Under the access program, people could get up to 300 needles per month, without returning any used needles. Under the new exchange program, people can get 10 needles per visit, and then additional syringes for each used one returned. The new cap will be 280 syringes per person. The exchange program will technically be a hybrid exchange—people can get up to 80 needles without bringing any back, although a spokesperson for Safe Point says that is not enough for the average person who uses drugs. The hybrid exchange is a better compromise, says Peggy Anderson of Equitas Health, the company that runs Safe Point. She says returning needles can be difficult. That’s why the program didn’t have an exchange requirement before. “What if I’ve just gotten out of jail, what if I lost all my syringes?” Anderson says. “A lot of our folks are either homeless, they’re couch surfing, they’re not in an area where they can keep large quantities of their used syringes... so folks get rid of them." It’s also illegal to have syringes in Ohio, which can deter people from carrying them around, she says. 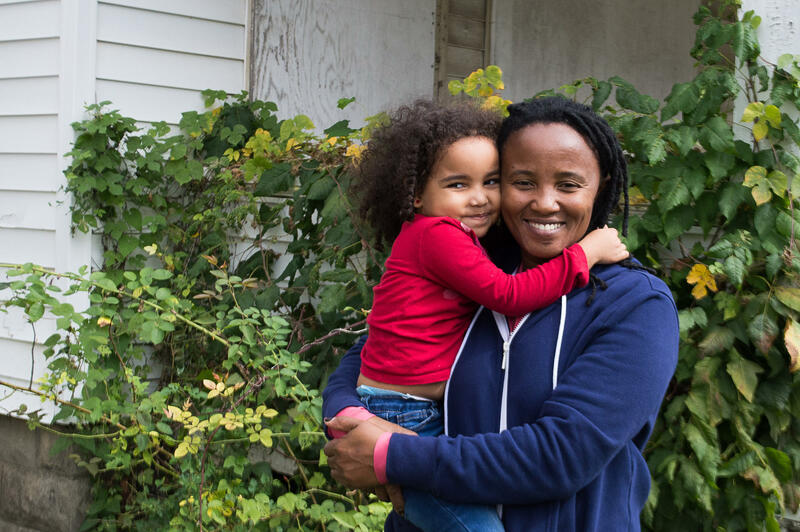 Susan Perez holds her daughter outside of a boarded up house. She worries about needles in her neighborhood. The city pushed for the exchange program, despite those potential difficulties, in part because of the feedback from the community about needles on the streets, Roberts says. “We knew it would have some impact on limiting the number of needles that we saw in our community that were not disposed of properly,” she says. She also hopes that, by limiting the number of needles people can get in each visit based on how many needles they bring in, they'll come to the program more often. That would mean more opportunities for health evaluations or getting them into treatment. 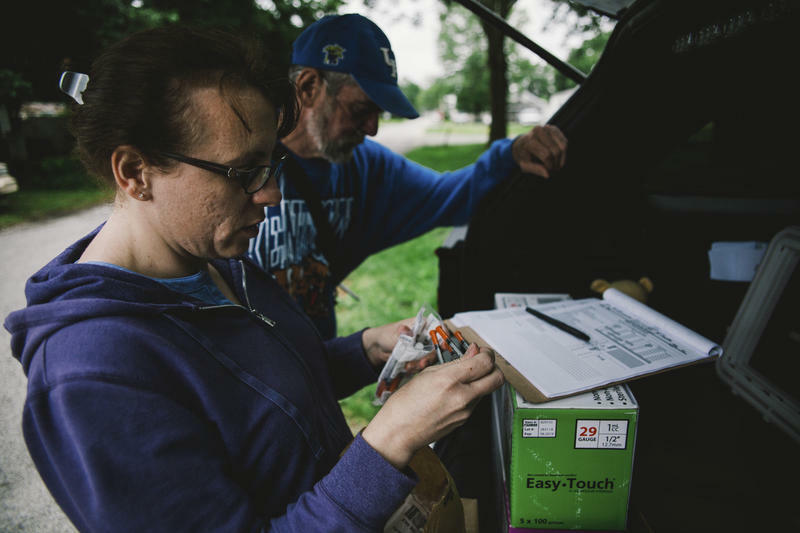 While it’s impossible to know if needles found on the street are from Safe Point, research does show cities that have needle exchange programs see more responsible disposal of used needles than cities that don’t. A vacant house on Scott Street in Franklinton is littered with used syringes, bottle caps and needles. Stacey, who preferred we not use her last name, says Safe Point helped her try to dispose of her used needles more safely. On a recent Tuesday, she visited the program to get new needles and a bio hazard container. Stacey says the change from access to exchange will make safely keeping track of her used needles a necessity, instead of just a goal. 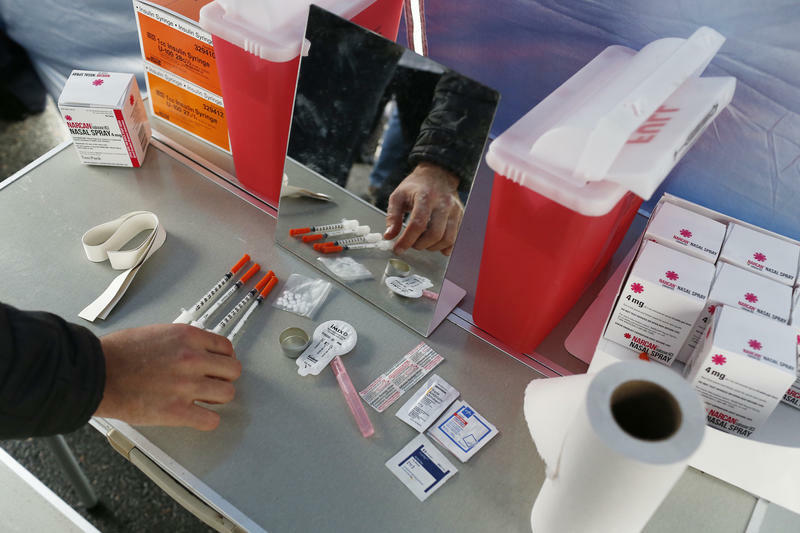 State health officials this week applied for federal funding to support needle exchange programs in Ohio. That would provide a lifeline for the Canton Health Department’s SWAP program, which marked its first anniversary in June. Director of nursing Diane Thompson says the needle exchange program has exceeded its goals, but its first year funding has dried up. 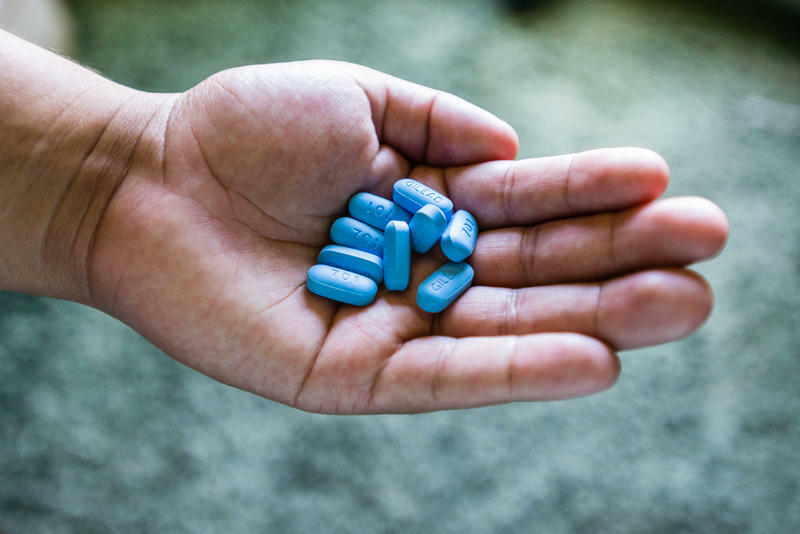 An analysis released Wednesday by the Centers for Disease Control and Prevention provides further links between syringe services programs and preventing HIV.